For half a century from its publication in 1901 Up from Slavery was the best known book written by an African American. 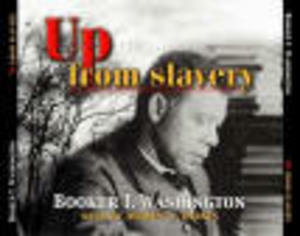 The life of ex-slave Booker T. Washington embodied the legendary rise of American self-made man, and his autobiography gave prominence for the first time to the voice of a group which had to pull itself up from nothing. From behind the mask of the humble, plainspoken schoolmaster come hints that reveal Washington as the ambitious and tough-minded analyst, a man who had to balance the demands of blacks with the constraints imposed on him by whites.